In addition to attending monthly community meetings as well as regional, national and international gatherings of the Third Order, Lay Carmelites have a range of resources for keeping in contact with one another, building up bonds of fraternity. 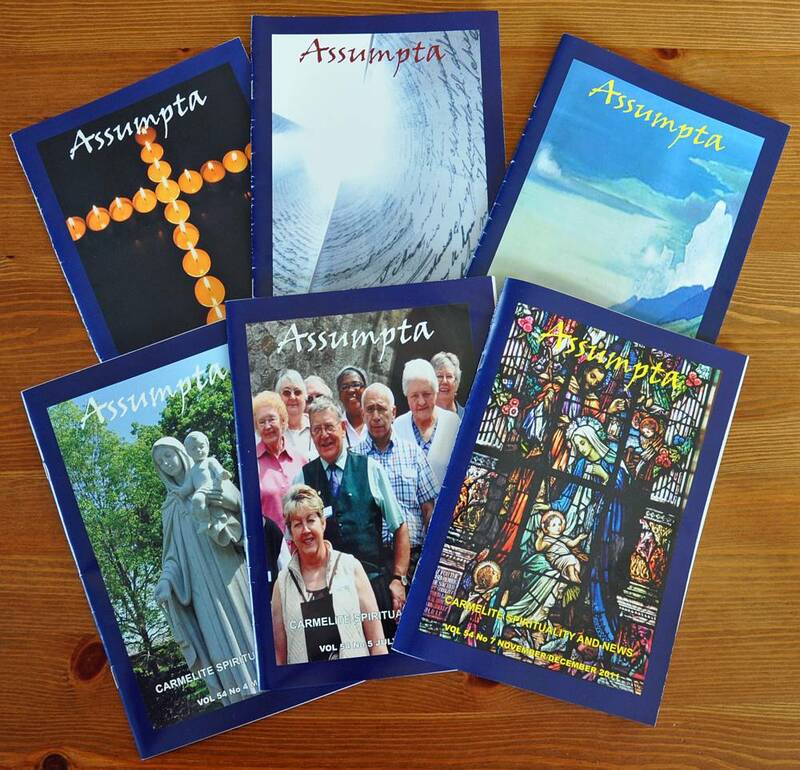 Assumpta is the magazine of the Carmelite Third Order Secular in Britain, but is read more widely by people around the world interested in Carmelite spirituality and news. Assumpta is produced 6 times a year. communication and formation in the Third Order. Each issue contains articles on Carmelite spirituality written at a popular but thought-provoking level, some of which are followed by questions for individual reflection or for group sharing. Items of current news, of interest to members of the Carmelite Family, and notice of new Carmelite publications and forthcoming events, are a regular feature. The cost of receiving Assumpta is included in the annual contribution which Tertiaries in the British Province are encouraged to give to support the development of the Third Order (see the next section for details). Non-members of the Third Order in Britain who would like to subscribe, anywhere in the world, are welcome to do so by completing the subscription form, which can be downloaded (in PDF format) by clicking here. Click here to e-mail Veronica. Subscribers in Australia are able to pay in dollars by contacting: Ben Bekema, 5 Franklyn Street, Corio, Victoria 3214. To email Ben please click here. The central publishers of the Carmelite Curia in Rome, 'Edizioni Carmelitane', produce an English-language periodical for Lay Carmelites three times a year called Carmel in the World. It contains excellent articles for formation and reflection, as well as a digest of international Carmelite news. A number of Lay Carmelites are kept in touch with the wider Order by subscribing to electronic Carmelite news services, such as the emailings of the British Province, and CITOC Carmelite News from the Curia in Rome.